Mexican Honeysuckle is a small shrub that isn't fussy, blooms most of the year, and is attractive to hummingbirds. 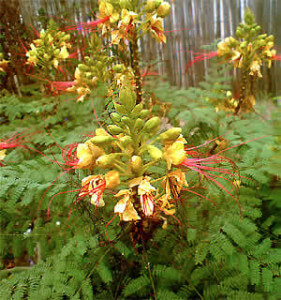 With yellow-green leaves and bright orange flowers, Mexican honeysuckle grows 2 to 4 feet tall and spreads 3 to 6 feet wide. 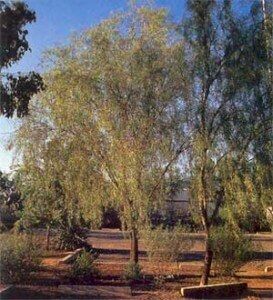 The soft, velvety leaves become larger in partial shade locations. Clusters of bright orange, narrowly tubular flowers appear almost any time of the year. Mexican Honeysuckle prefers light shade to full sun exposure. 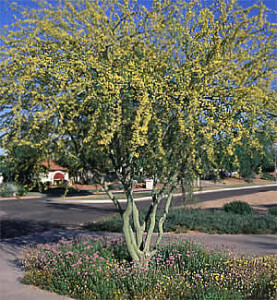 It is fairly drought tolerant, but looks better and grows larger when given regular supplemental water in the summer. 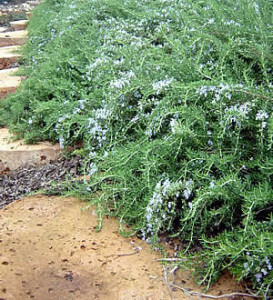 It has a moderate to fast growth rate and is not particularly fussy about soil. 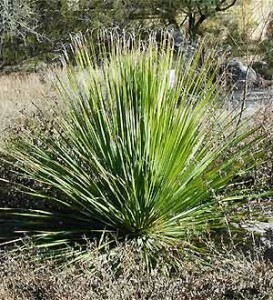 It grows equally well in a loose, amended soil or in native, unimproved soil. The primary requirement is good drainage. Water weekly in summer, every other week in the winter.